There a several areas where you will find custom icon fonts. Social Links (pictured at left, below), and in these Sections: 'Home - Newsletter' (pictured center), 'Home - Twitter' (pictured right). 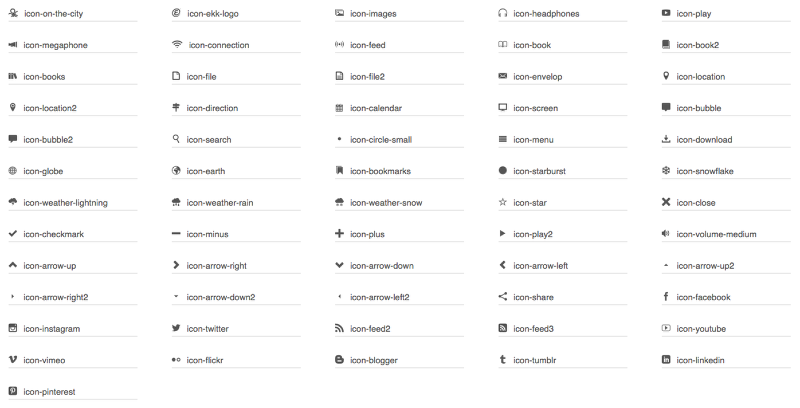 These custom icons can be replaced with other icons of your choice from the full list above. 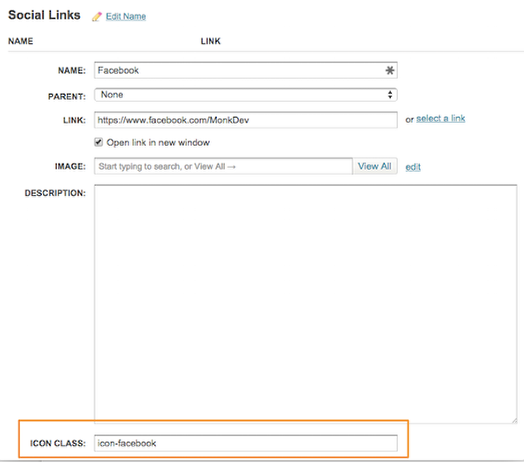 navigate to CONTENT > LINK LISTS > "SOCIAL LINKS"
In Options, click the pencil icon to edit the social link. 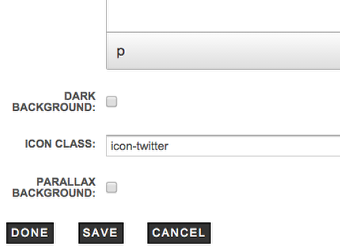 In Icon Class, enter the new custom icon name (from the reference list above) and click Save. 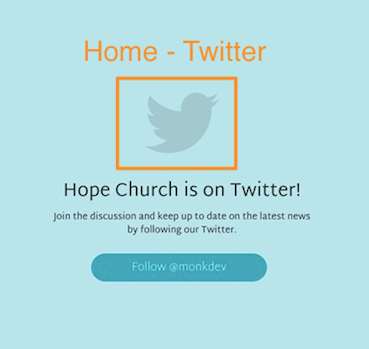 Navigate to CONTENT > SECTIONS > "HOME - TWITTER"
In Icon Class, enter the new custom icon name and click Save.